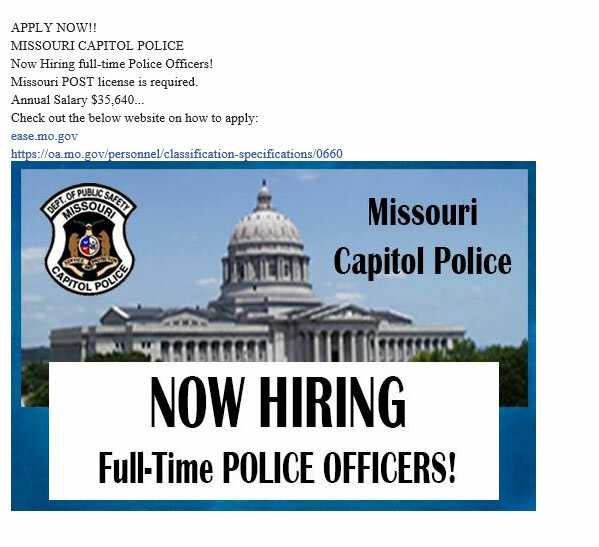 Below are employment listings for law enforcement agencies in Missouri. If your organization has an opening OR your organization's opening has been filled, please contact POST. PLEASE HELP KEEP THIS SITE UPDATED BY NOTIFYING US WHEN POSITIONS ARE FILLED.